We're having a busy summer fundraising for our cats and kittens!! 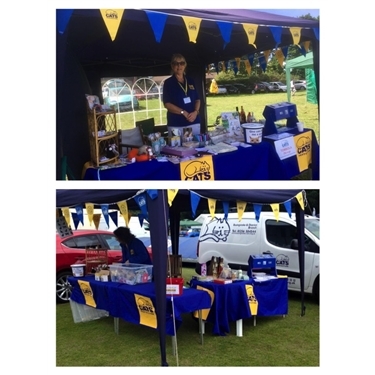 On Sunday 3rd June we were at the Tadley Treacle Fair and raised a grand total of £101.37. And on Saturday 16th June we were at Old Basing Carnival and raised £87.76. Overall a fabulous boost to our kitty!! Many thanks to everyone who came and said hello and helped our fundraising. And thanks to our lovely volunteers who helped on the stall and with getting everything to and from the events.